Today on Helsinki Winner Show 2012. Two Raven's Tot junior boys took part in the show. 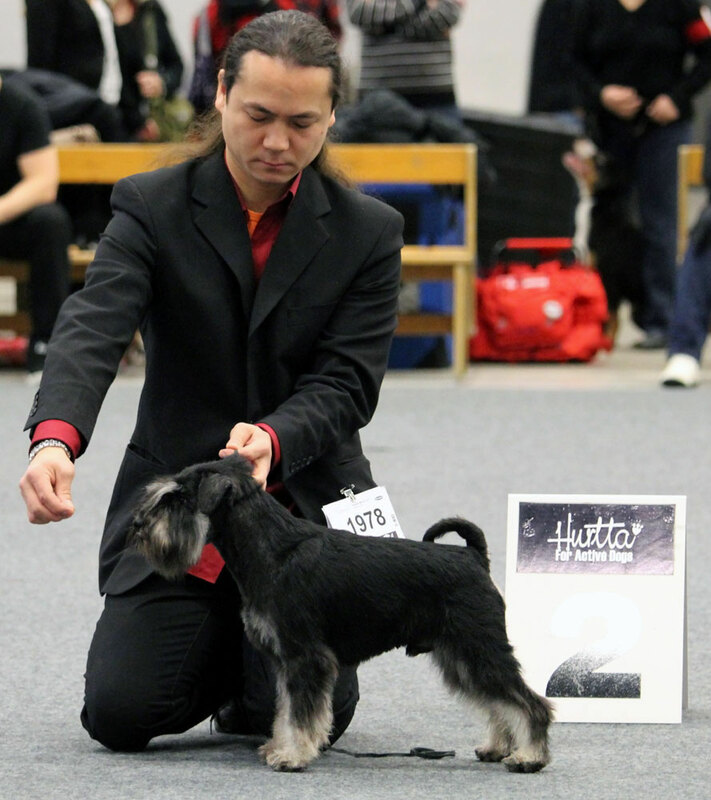 Black&silver Jofiel (Raven's Tot Improved With Silver) was 2nd in big junior class (10 males), getting exc and SK, I suppose he is now Vice Junior Helsinki Winner, right? Congratulations Jimmu!!! Our little Robin (R's Tot I Want It All) was 4th in junior class with excellent. Picture by Maaret Jaatinen.